The ladies held sway last Thursday night as all enjoyed appetizers, cocktails, a basket raffle and an enchanting show in which handsome men (also known as “Studs”) runway-modeled decorative construction studs in hopes of winning the lusted-after Stud of the Year Award. These decorated construction studs also participated in the Bling-A-Stud Art Contest that saw winners in four categories. The contestants carried their studs down a red carpet while strutting their stuff to encourage ladies in the audience to throw them tips. The man stud targeted by the greatest number of tip throwers was proclaimed Stud of the Year. 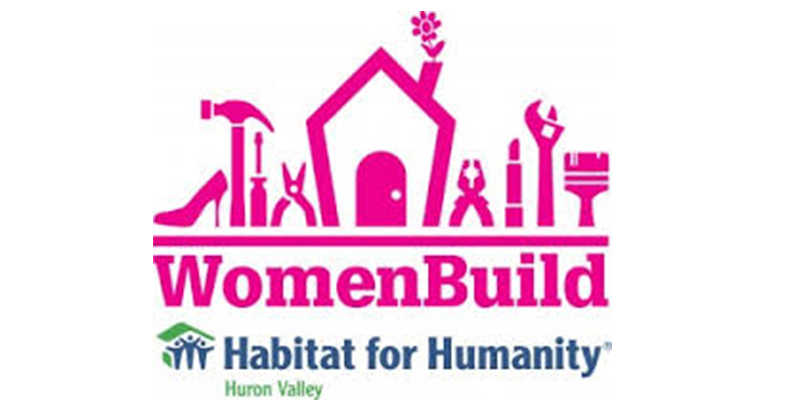 Later, those in attendance stripped the decor off the stud boards and used them to frame the Women Build house. Female audience members bellowed as the men took to the runway employing various tricks designed to win them points and finance building a home for a family. Kimberly Law is a highly regarded teacher at Foster Middle School, and came to the presentation with her mother Sharon Olley. The promise of a good time attracted Theresa Gross, Sarah Shelton and Kathy for Humanity’s mission. It is a mission they literally sweat over. On Saturday these women took hammers and nails, reported to 502 Sabine Street and raised a roof. Longview Habitat for Humanity Executive Director Luan Hollins is making big plans for her organization’s future, seeing it expanding to the point that it constructs entire neighborhoods rather than single dwellings. These building projects also build solidarity among those participating. By the time they finish the house on Sabine Street they will have been toiling together for two years. As an organization Habitat for Humanity has been serving local disadvantaged families for 20 years. For another Habitat for Humanity builder, Julia Riner, building these homes is a personal mission that gives her, as one of 14 siblings, great fulfillment. Habitat for Humanity holds tightly to its mission of seeing a world in which everyone has decent housing. This mission puts God’s love to work as motivation, bringing families together to build homes, communities and hope. This is how thousands of low-income families have been blessed with affordable housing. Churches, community groups, schools and many others have joined forces to combat the scourge of homelessness. Over the past 40 years, Habitat for Humanity has made it possible for 6.8 million people to find strength, stability, independence and hope through adequate, affordable shelter.